Efficient space planning and absolute charm. Can these go together? As this new cellar by FWC by Lake Ontario, Canada proves, absolutely! 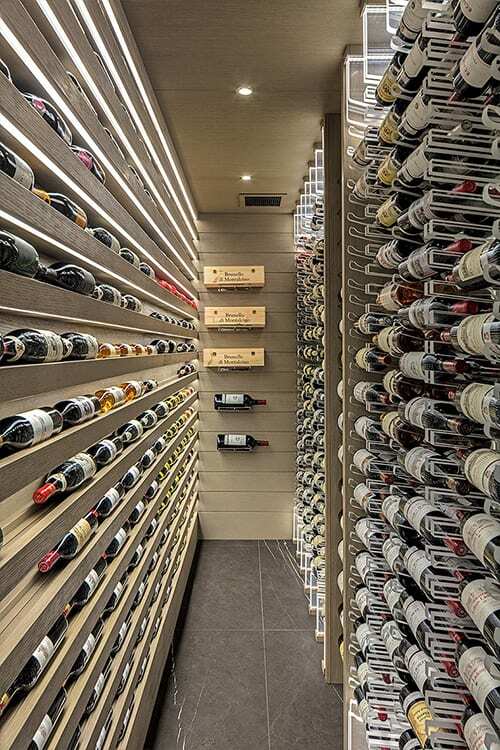 In an area of 6 m2, around 1000 bottles are individually made available in this cellar for cherishing and enjoying. 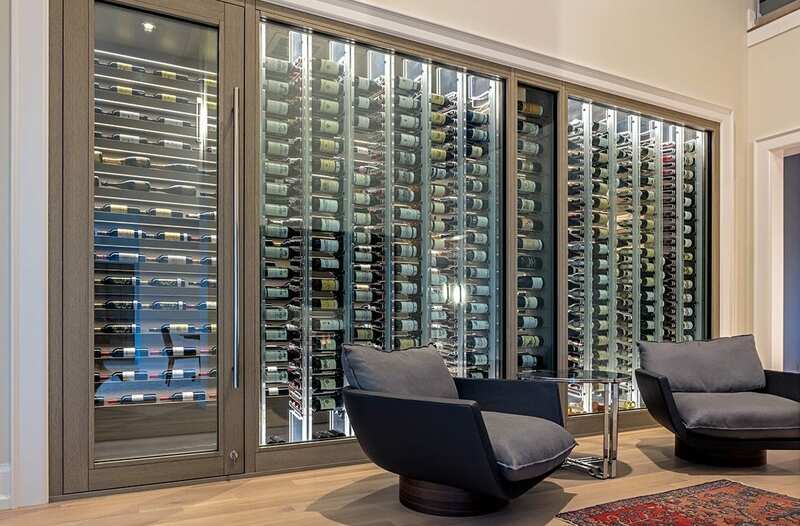 Behind two large pieces of specialist cellar glazing, lit acrylic shelves display the majority of the bottles for visual enjoyment from the double high living room. 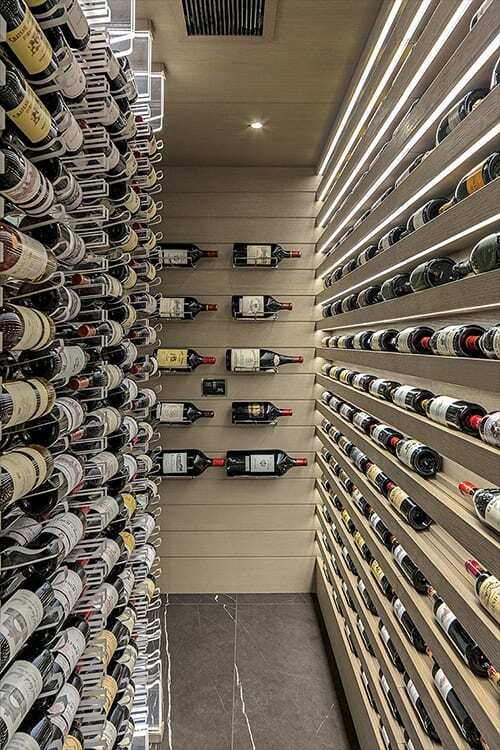 The wine cellar is located directly opposite the central fireplace. 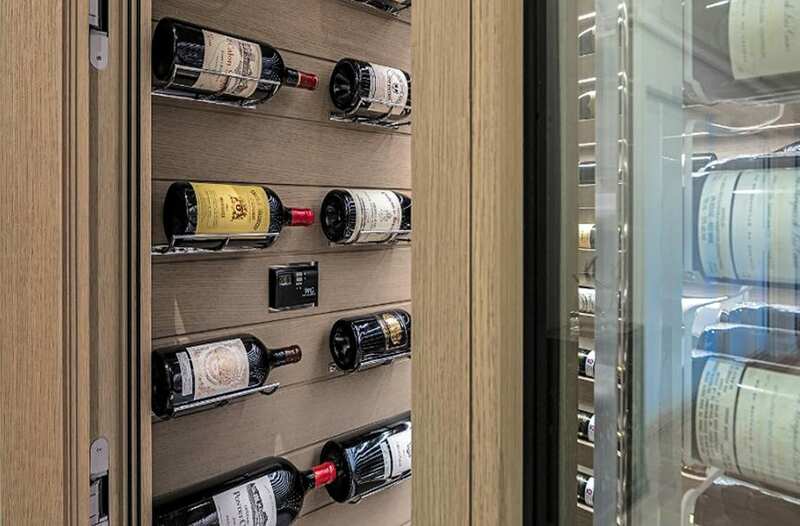 Inside where the air is strictly kept conditioned for wine, more space is created for bottles in various sizes: regular bottles, magnums, jeroboams etc… The general design and detailing of the cellar is modern, elegantly matching the style of the house. The staining color of the oak wood on the façade and all around the interior of the cellar was carefully chosen and creates a charming contrast with the dark grey graffiti marble on the floor.